Between October and May, vehicles to Big Bear MUST carry tire chains. Depending on road conditions observed (R1 through R4) restrictions may be in place. Officials may stop vehicles from coming up the mountain completely or they may stop and require that your chains be installed. Note that there are workers there who will install them for a $45 fee. You may not be able to drive up unless you have a four-wheel drive vehicle and chains. The roads may be closed, period, with only emergency vehicle access. 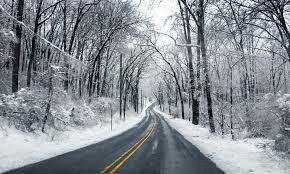 ​It is your responsibility to know and prepare for all road conditions and restrictions in advance. And, please... be courteous to California Highway Patrol and CalTrans workers - they are there to keep the roads and travelers SAFE!